If ever a Notable Bar in Buenos Aires deserved its name, then that bar is El Banderîn. The Spanish word for banner, the walls of El Banderín are covered with football banners from all round the world. 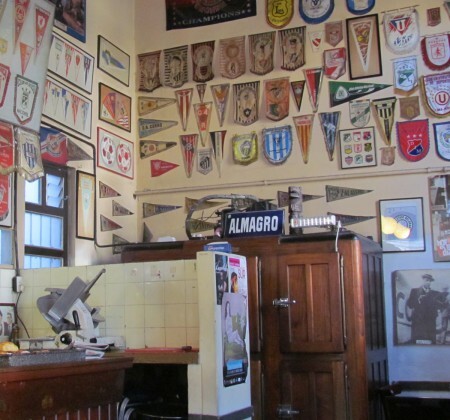 Originally opened in the 1930s and named El Asturiano, the banners started in the 1960s with a customer who returned from holiday in Austria bringing a club banner back as a present for the football-mad owner. The trend caught on, and by the time a former customer of the bar had gone to Spain to play professional football and was sending a new banner every month, the name had been changed and its destiny sealed. The bar now boasts hundreds of banners, from the largest clubs in the world, down to some real oddities. 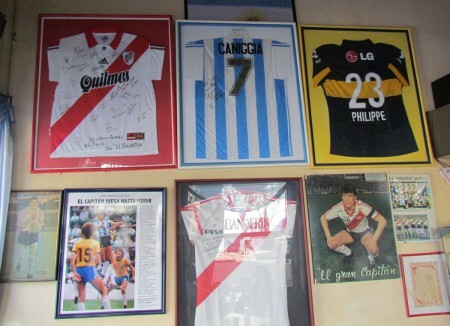 One wall is devoted to Argentina, and features signed shirts from the national side as well as River Plate and Boca Juniors (2 from River – the owner is a diehard fan). 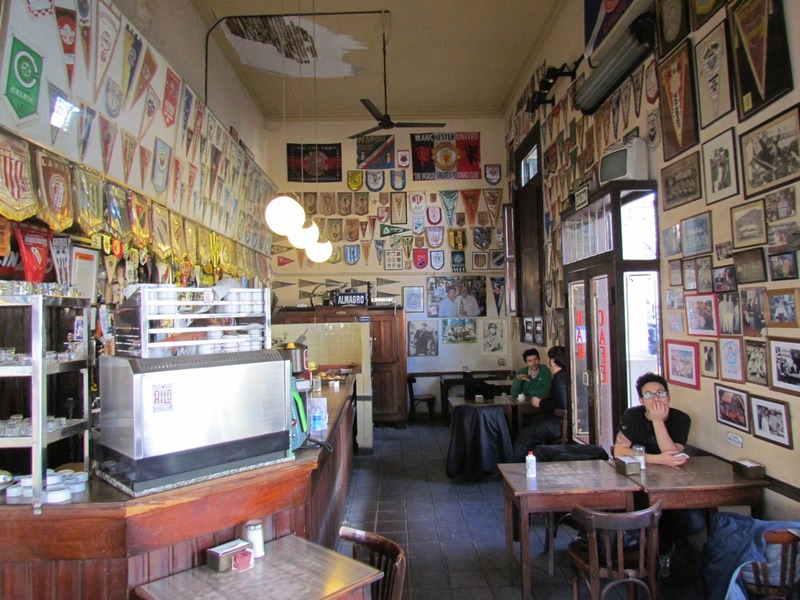 It’s not a large space, but it’s packed with character and you could spend a happy half hour studying all the banners and wondering on the stories behind them. On a Monday evening a live football-themed radio show is recorded in the bar, musing on the events of the previous weekend. 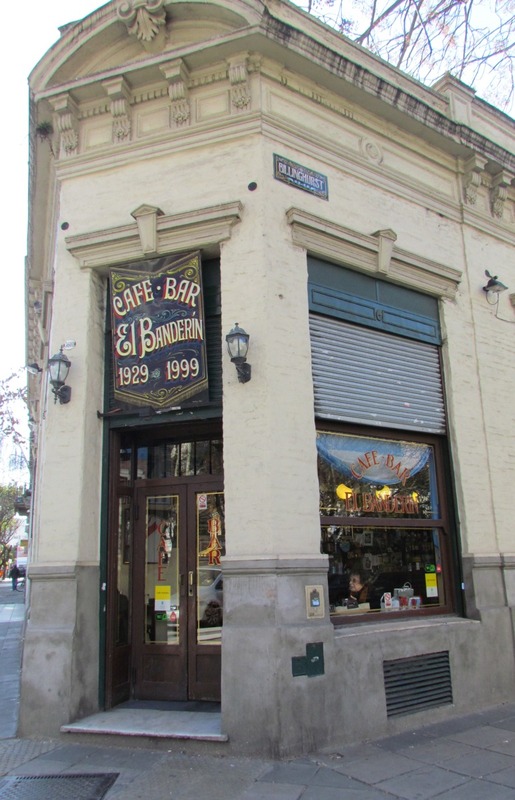 If you’re in the area of the Abasto shopping centre, it’s well worth making the detour to El Banderín for a colourful slice of Buenos Aires life.